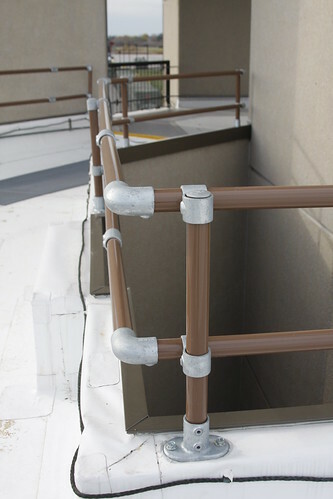 Parapet railings can be a great solution for providing perimeter fall protection on a rooftop. Parapet railings are appropriate when penetration of the parapet is acceptable. When no penetration can be made or no parapet exists, we recommend our KeeGuard non-penetrating roof railing. 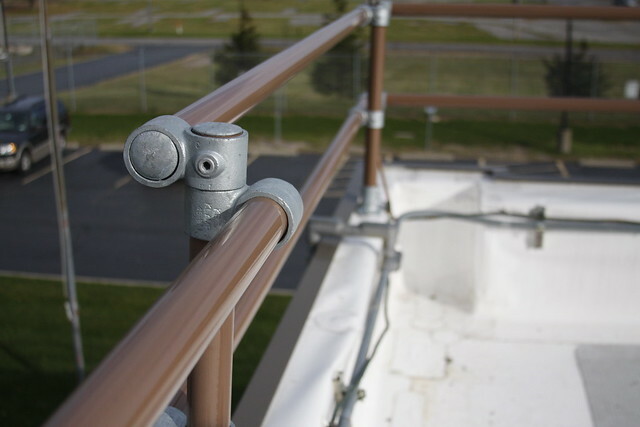 Parapet railings can provide continuous fall protection and can be less expensive than non-penetrating solutions. 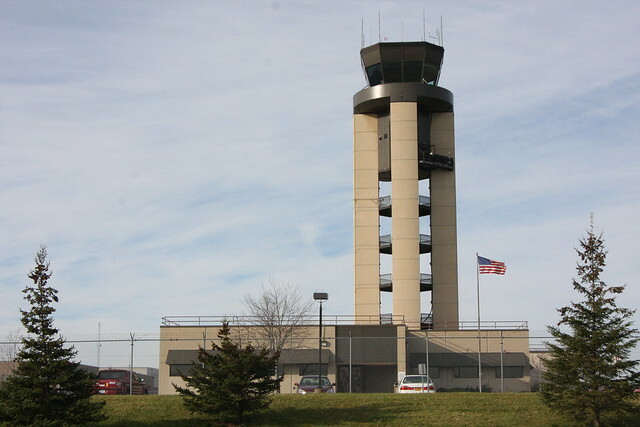 One of our customer recently installed a parapet railing on the top of the building adjoining the Rochester air traffic control tower. We had the chance to visit the site and take some pictures of the installation. The parapet railing can be seen along the top of the shorter building that is next to the main tower. 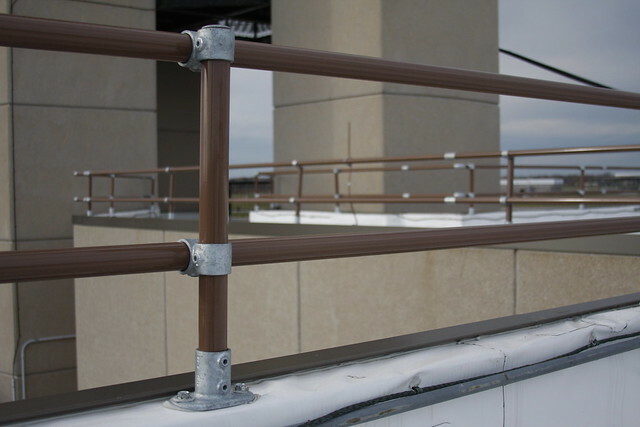 This railing provides a perimeter roof railing that meets and exceeds the OSHA requirements for guardrail. Railings constructed with pipe fittings are great for airports because they do not require heavy machinery or dangerous materials to install. 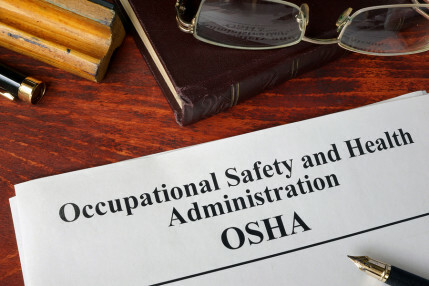 This makes installation safer and more security conscious. 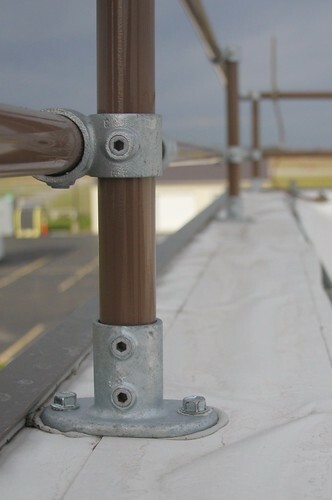 The parapet railing is attached to the existing parapet with 62-8 base flanges. Sealant is used underneath the flange to prevent leaks. 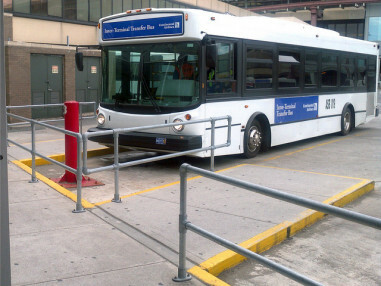 This railing is a great example of an offset railing that uses 45-8 pipe railing fittings to make the railing as continuous as possible. A pipe cap tops off the upright to keep water from entering the upright. 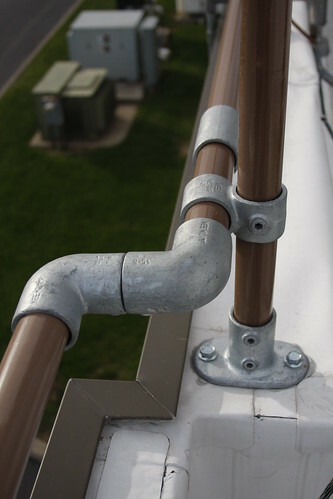 Couplings are used to join long sections of the parapet pipe railing together. 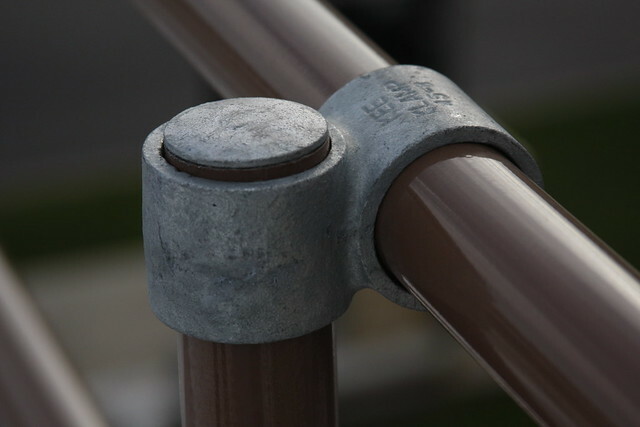 Elbow fittings are used at the corner and in various other jogs in the roof footprint. Obtuse or acute angles in the roof can be navigated with other pipe fittings that are specially designed to allow for any angle. This railing was powder coated to match other trim already on the building. Parapet railings can be powder coated in any RAL color to ensure that the railing blends in with the surrounding architecture. In the case of this installation, the customer chose not to powder coat the pipe fittings. 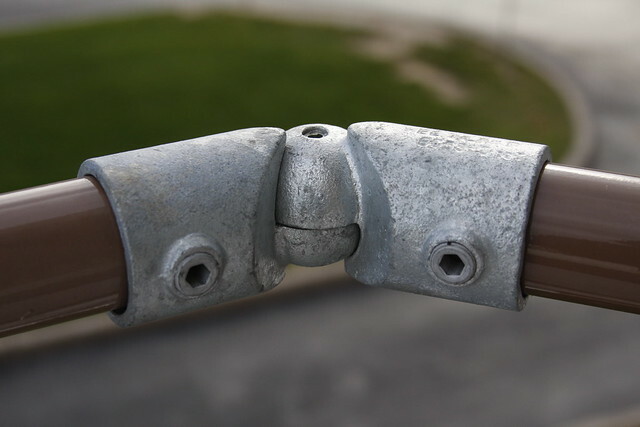 This could have been done to make the entire railing a single color. 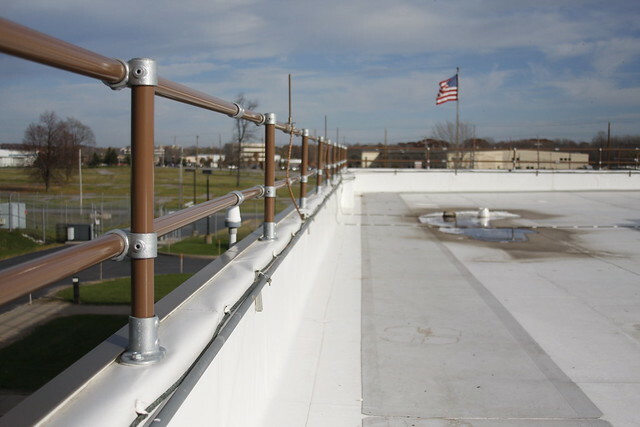 A parapet railing designed with our components can navigate the most demanding roof layouts. 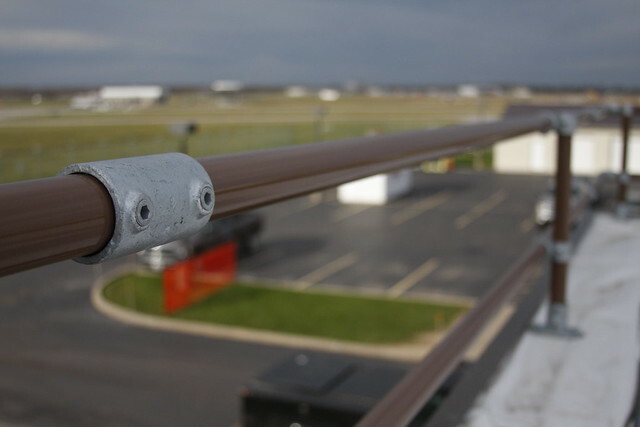 Contact our sales team to find out if a parapet railing is the best solution your rooftop fall protection needs. See more pictures of this railing installation here.